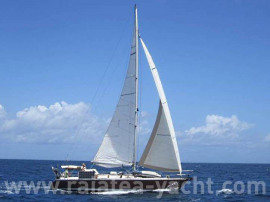 Beautiful and unique sailboat who mixes performances and features. 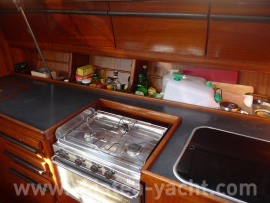 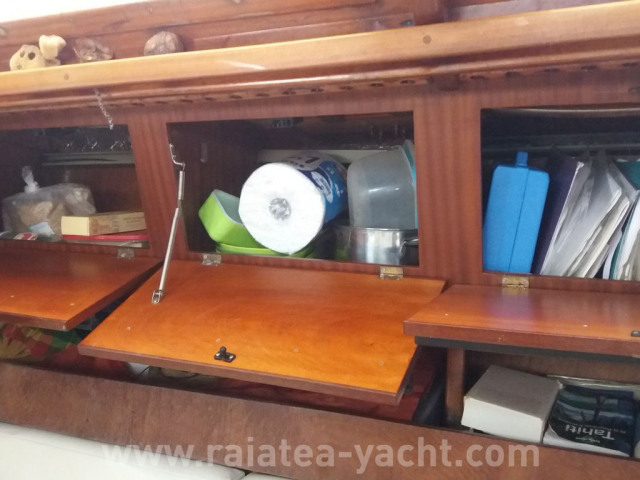 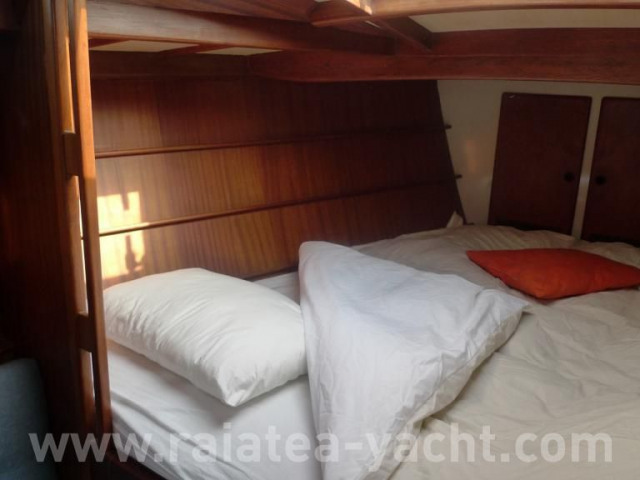 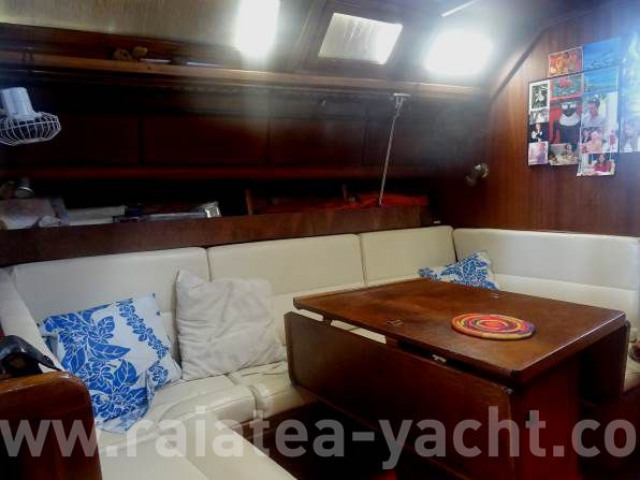 It combines the classicism of mahogany and the modern lines of the hull and superstructures. The building was made in Germany and finished in Holland. 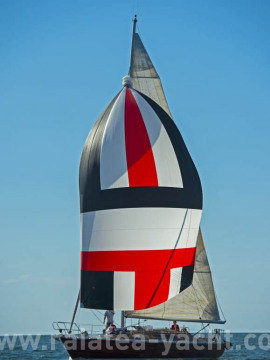 Built between 2002 and 2006, designed by the architect Ulrich Heinemann. 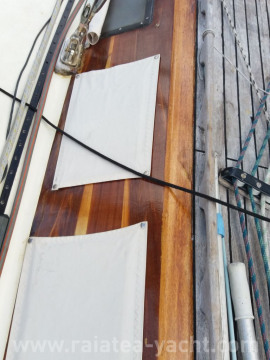 Maintenance of wood - epoxy is easier than it seems. This sailboat has been conceived to be fast and the recent changes made her easy to use. 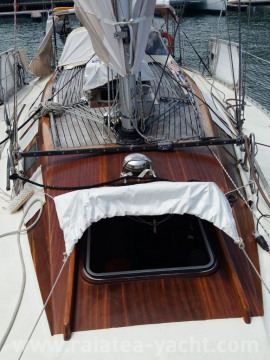 She crossed two oceans without damage or particular problems led by a couple of sixty-year-olders. 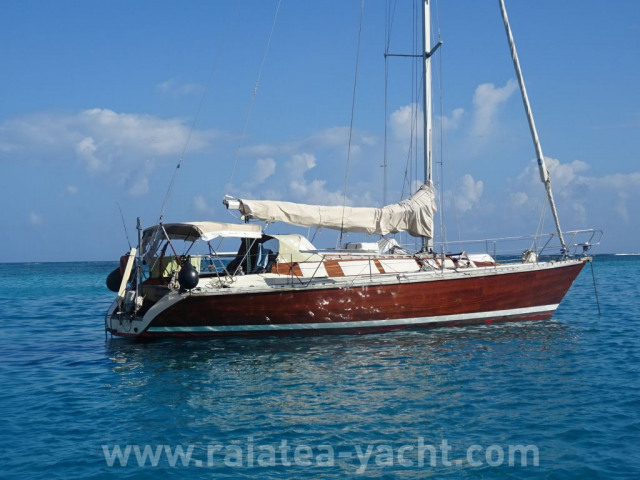 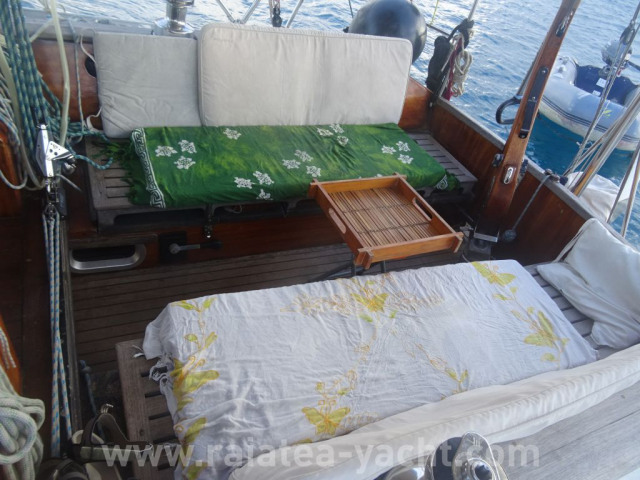 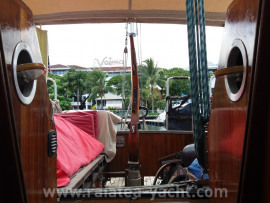 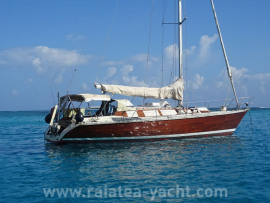 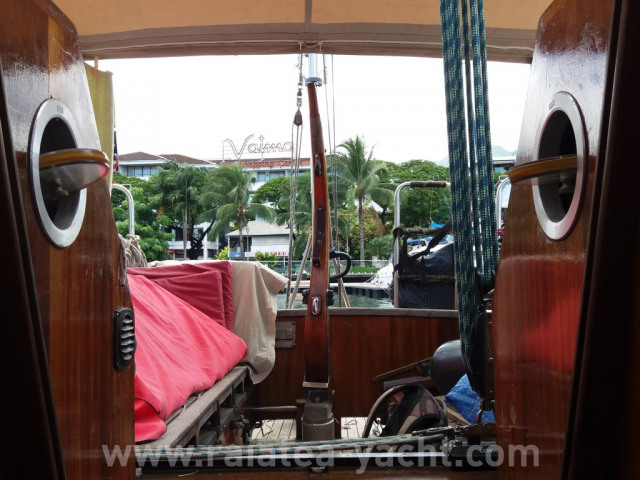 For the last 2 years, she's mainly been sailing around in the lagoons and between Polynesian islands. 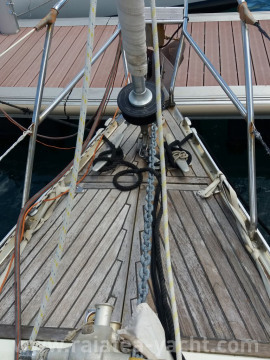 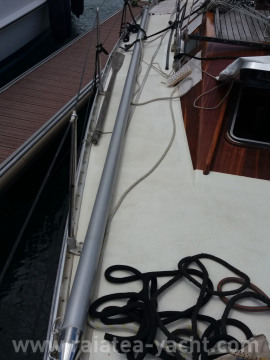 The deck has just been renovated, sails and chain were changed. 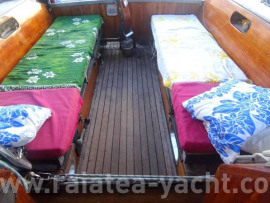 The inside arrangement is designed for 6 peoples. Last bottom paint: Septembre 2017, done every 6 months. 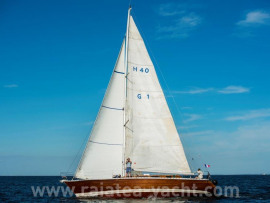 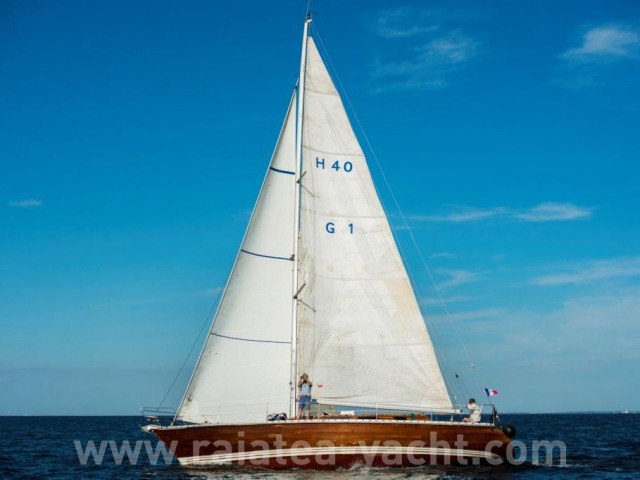 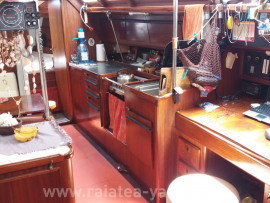 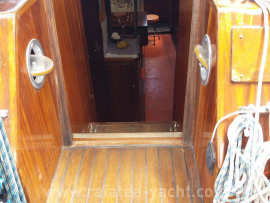 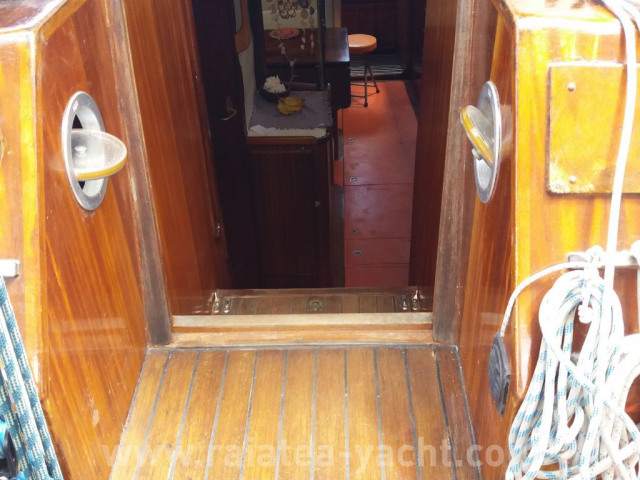 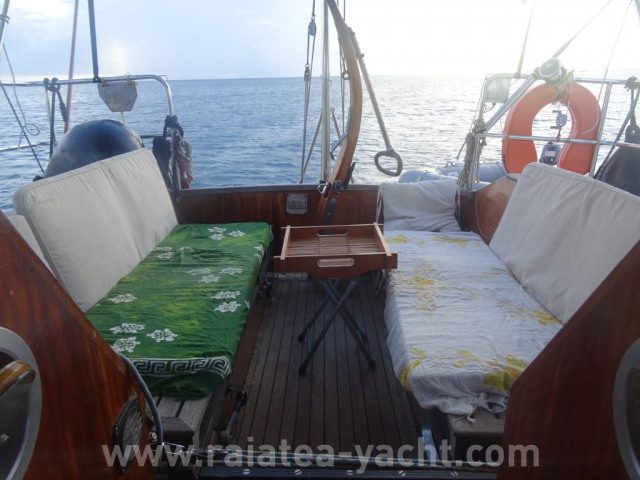 Beautiful mahogany sailboat, in very good condition. Deck remade and stay changed. 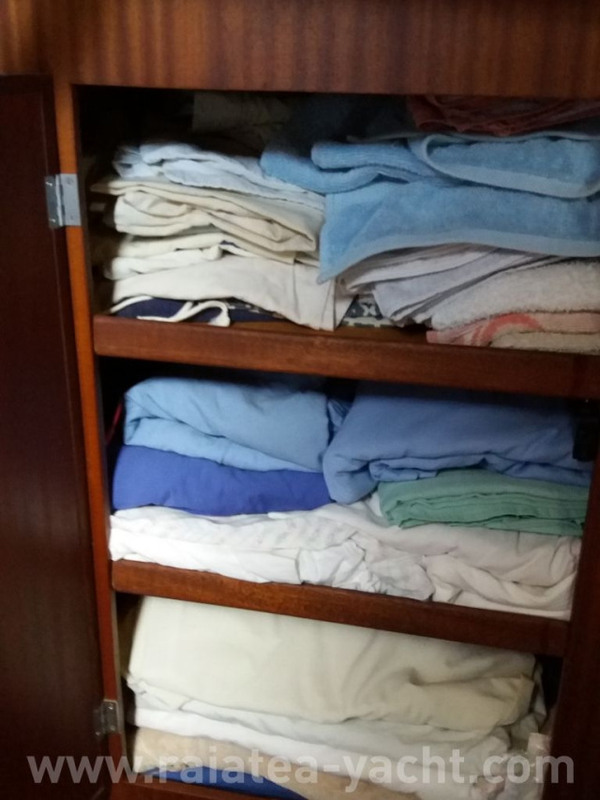 Well equipped and regularly maintained. 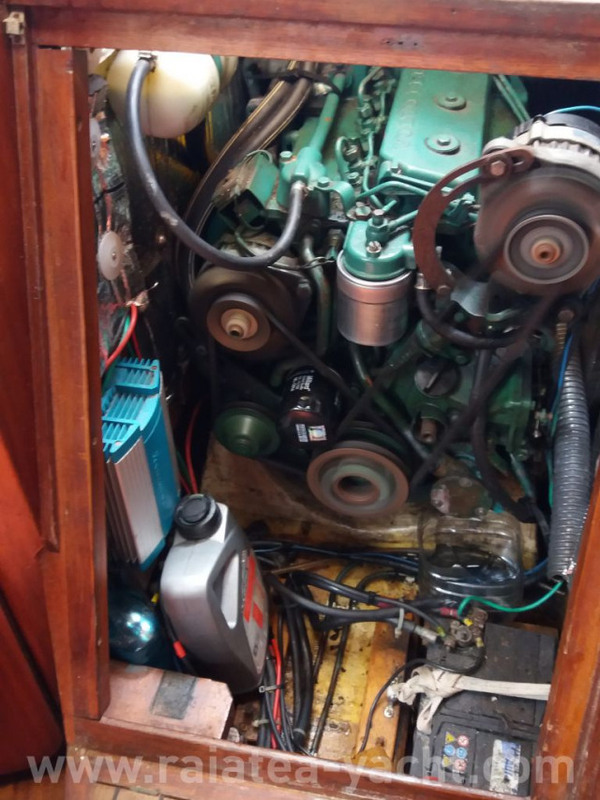 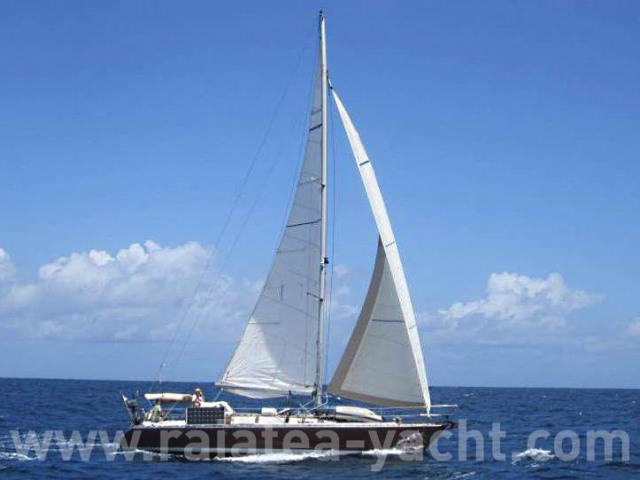 The beauty of this sailboat, combined with its performance and features make it unique. 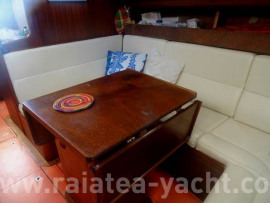 It combines the classicism of mahogany and the modern lines of the hull and superstructures. Unique sailboat, opportunity to seize!